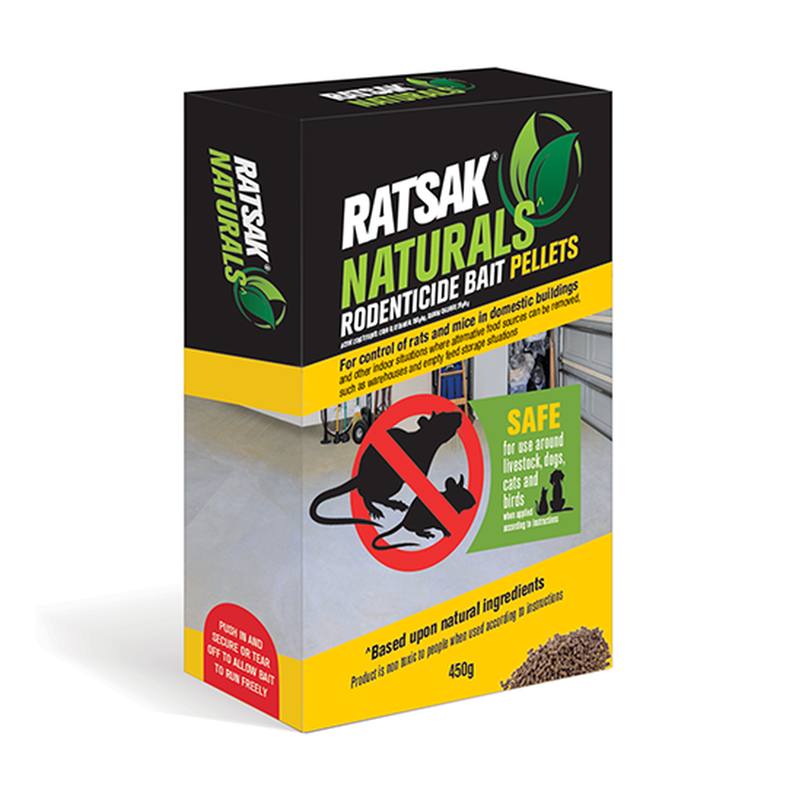 RATSAK NATURALS^ is a specially formulated rodenticide bait that is based upon natural ingredients. The bait pellet quickly and effectively kills both rats and mice, yet is safe for use around humans and non-target animals such as pets and wildlife when used as directed. Safe for use around livestock, dogs, cats and birds when applied according to instructions. Do NOT use this product to control native animals. Do NOT allow product or used container to get into drains, sewers, streams or ponds.